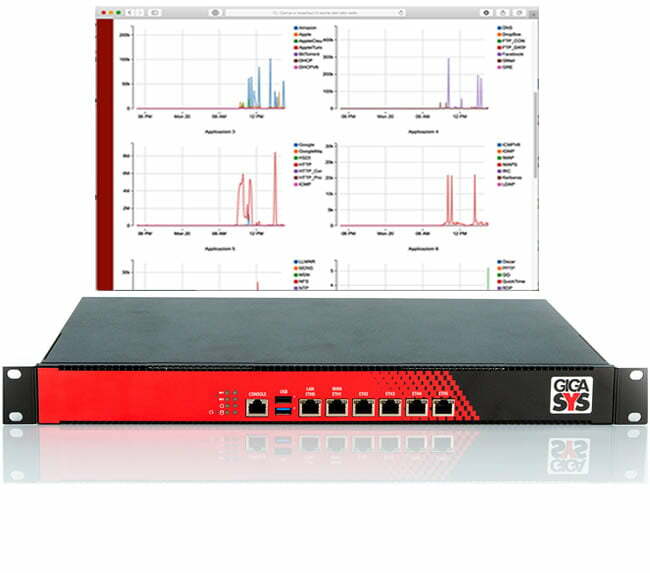 Gigasys Link Balancer allow you to balance traffic to multiple routers (typically ADSL) sorting network load automatically or according to specific rules. With this feature you can balance and aggregate your access in Internet using ADSL from different vendors, as well as benefit from faster Internet content. This solution makes it possible to increase the continuity of the connection thanks to integrated fail-over that disables the use of non-functioning connections and then re-enables them automatically when they are restored, all through a detailed report that will alert the administrator of network. Multi inbound/outbound NAT can be configured on each IP available for the various xDSL allowing to achieve the same service service/server from different xDSL, multiplying the availability of the service to your external users..
Easy web management and helpline ensures an excellent technical support. The selective routing allows to assign a specific connection to one or more IP addresses or to one or more doors preventing that specific traffic is balanced, so as to ensure that that particular connection always occurs via specific xDSL. The automatic routing ensures that the outgoing traffic is always weighed according to the value associated at the single xDSL this allows to obtain a homogeneous traffic distributed on all the connections as a function. Our devices natively support the following type of client and site-to-site VPN : IpSec, PPTP, L2TP and Openvpn. You can aggregate VPN link site-to-site and client on multiple xDSL even for a single connection OpenVPN least double the upload of VPN without having to upgrade the bandwidth of single xDSL. Do you wand more information ora a demo?